If you were wondering about what it is I do all day besides blogging and vlogging, you should check this video. This one was made during the wintertime by Deisy Amelsbeek. Another entrepreneur who is making her way, her own way. I feel like she is the James Cordon of entrepreneurial car interviews, haha! When she asked me to join her for this business interview I was obviously immediately stoked. Why? Well, it’s always an honor when people think your interesting enough to talk to. Especially in a world where everyone is stuck to their phones and no one seem to notice other people anymore. So Deisy is making her way as an entrepreneur in marketing and copywriting. By interviewing other people, she has also put herself in the position as someone who you should definitely know. I think she will be a big and known entrepreneur one day. Currently working on a treasure filled with business tips and tricks through her interview videos and podcasts. I don’t know Deisy that well, but I am proud to say that I know her. Especially because I love that I met another person who has found her true calling and isn’t scared to follow through. I will always support that and I hope you will watch my business interview video to help her and her business grow. I already watched it twice, haha! P.S. 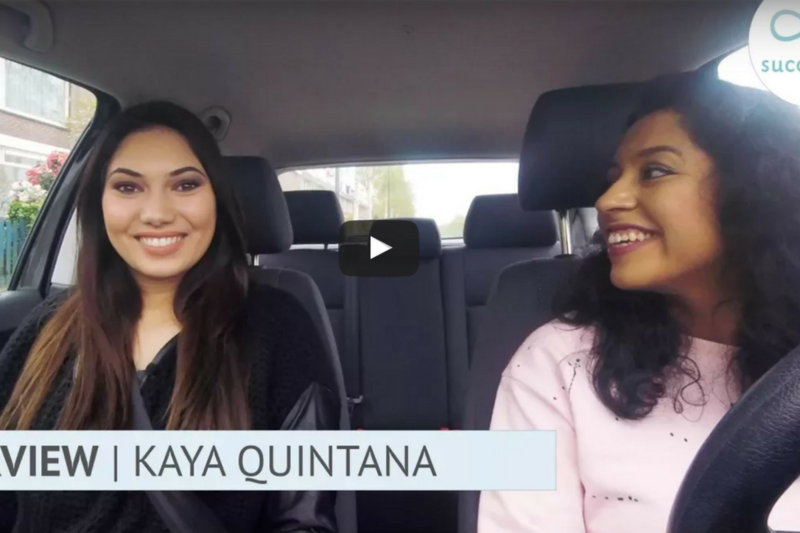 Subscribe to Deisy’s Youtube channel for more Dutch entrepreneurial tips.